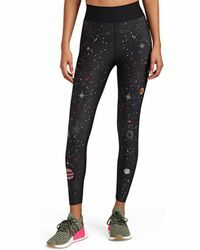 Space leggings, sometimes known as galaxy leggings, are pretty much out of this world. 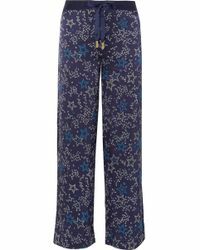 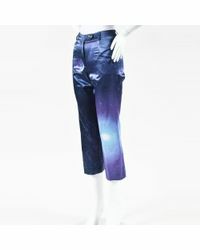 Taking inspiration from the far-reaching corners of this universe, these stretchy trousers make nebulas, comets and stars into fashion statements. 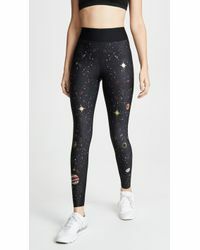 Wear Betsey Johnson's designs to the gym for a standout workout look or try Calvin Klein's styles on the weekends with a simple black T-shirt dress.